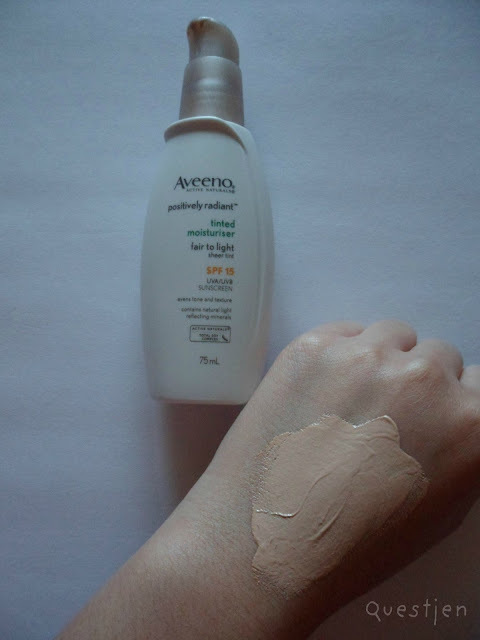 Hi loves, I'm going to be reviewing some new Aveeno products again - two shades of tinted moisturiser and an eye illuminator. 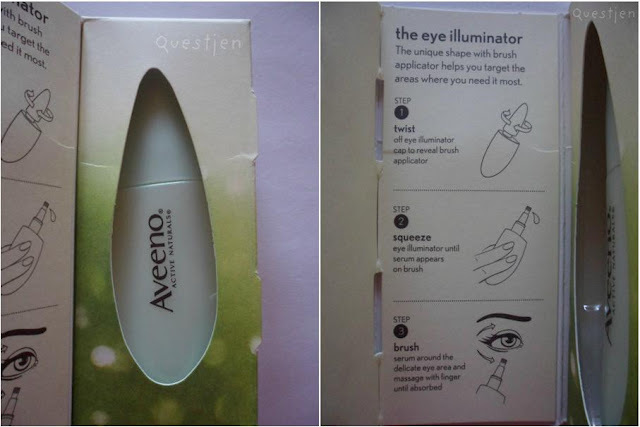 You're probably wondering what the eye illuminator is - I'll get to that later on :) As always, my reviews are 100% honest with no influence of whether the item/s were purchased or sent to me :) I am not getting monetary compensation for my review nor was this a requirement - I just wanted to share with you my thoughts and opinions! So I was sent two shades of tinted moisturisers to review and I'm glad that I was because neither of the shades are accurate to my skin's shade unfortunately :( So I could mix them together to match my skin tone. 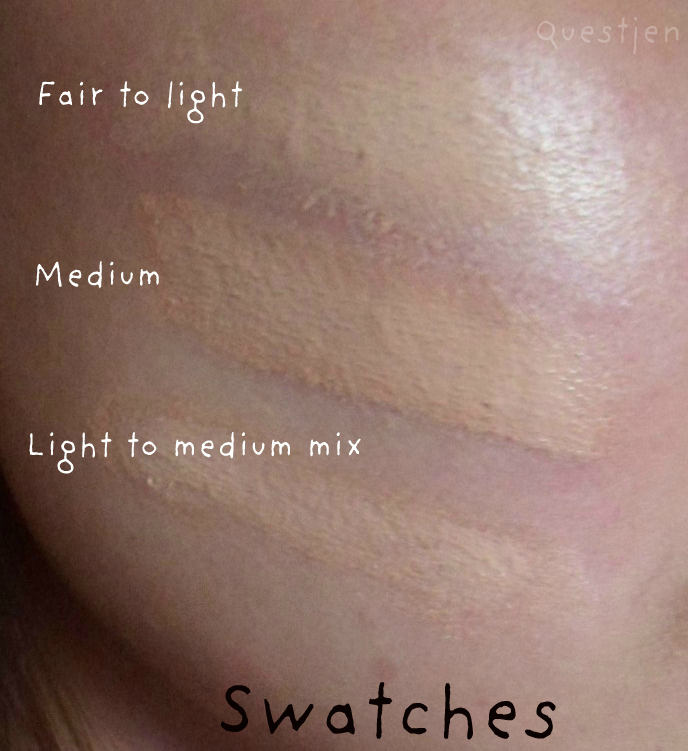 Fair to light is a tad too light and Medium is a tad too dark! Wish I was one of those shades (fair to light preferably), it would make things much easier hehe. These are the only tinted moisturisers with clinically proven Active Naturals® Total Soy complex to brighten and even skin tone while providing SPF15 sun protection. 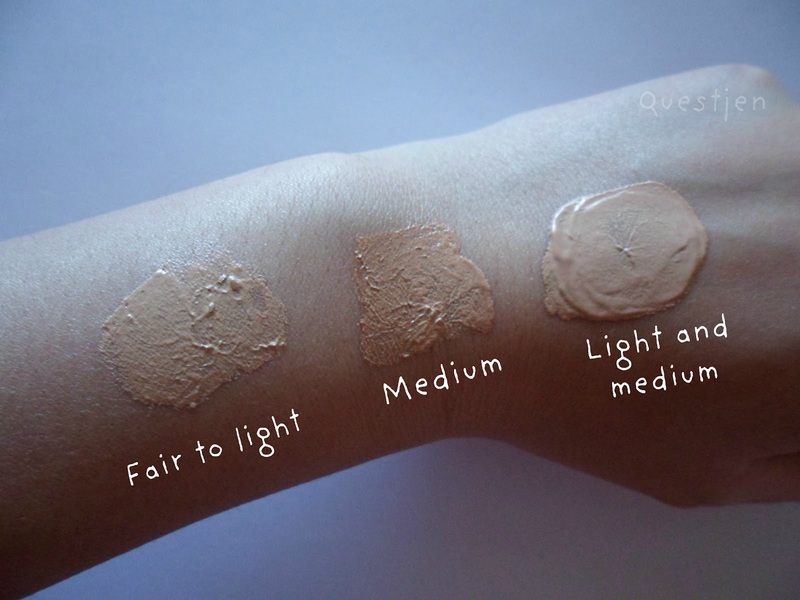 Natural light-reflecting minerals and lightweight coverage seamlessly blend away imperfections and immediately enhance skin’s natural radiance. 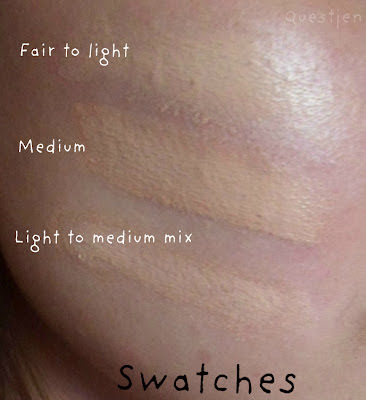 I like how pigmented they look as swatches (just like foundation!) but when applied, it just 'sink's into my skin and doesn't make me look cakey - it is such a natural finish to my complexion! 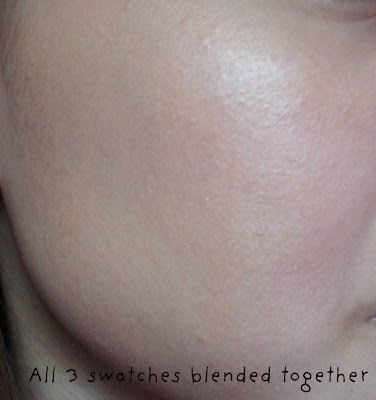 Blended in all the swatches and my redness seems less noticeable! I do use tinted moisturisers more than foundations so I can see myself buying more tinted moisturisers... but unfortunately not this one. It has worked well for me but in my opinion, $22.99 is pricey! And I like my tinted moisturisers or any face products to have a more pleasant, sweet scent ^^" The idea of mixing two different shades to match mine completely doesn't appeal to me - that would mean that I have to buy 2 x $22.99 products :( Not good for the purse and more time-consuming. 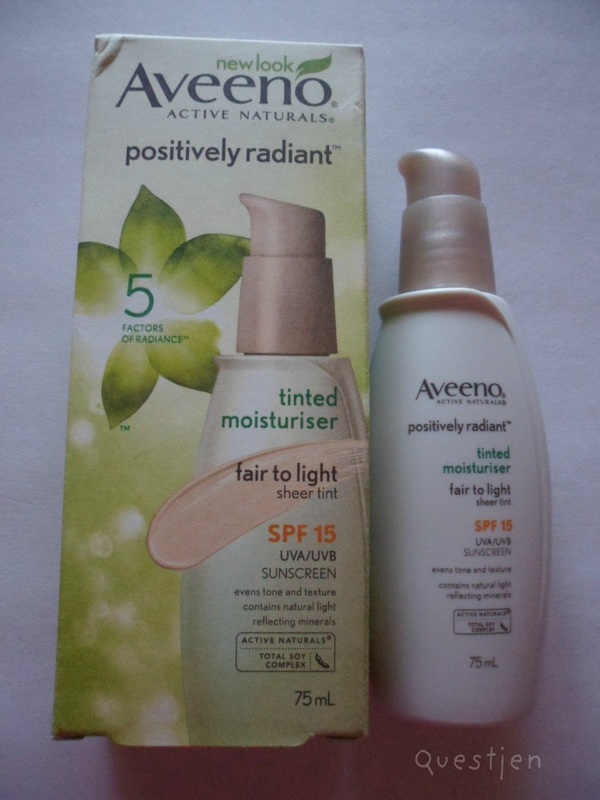 But I would still recommend this, especially if redness is a problem for your skin too. 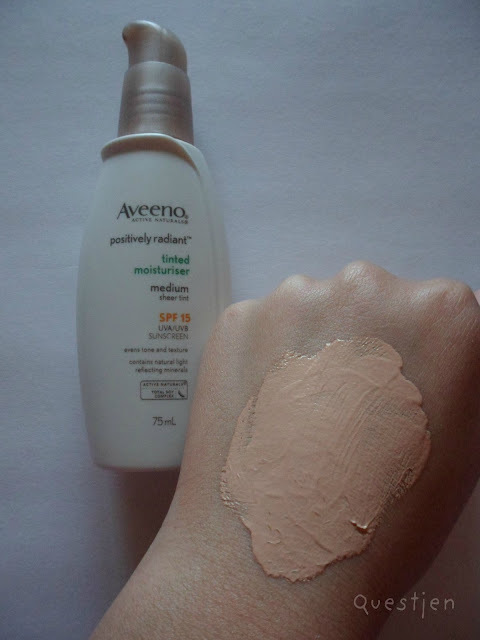 Dark circles and dryness around the eyes are key factors that affect your natural radiance. 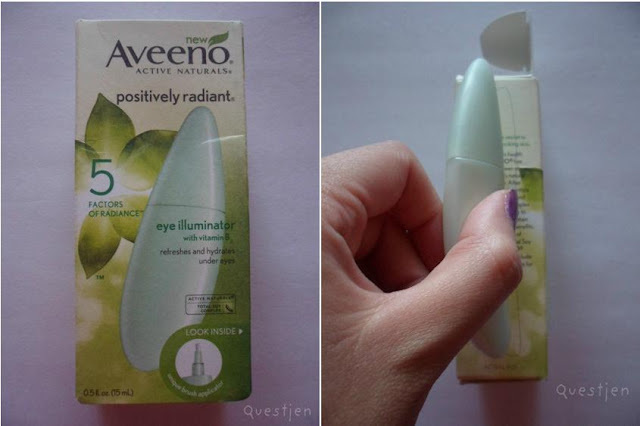 AVEENO Positively Radiant Eye Illuminator contains an exclusive combination of Active Naturals® Total Soy complex boosted with tone-evening Vitamin B3 and light-diffusing technology to rejuvenate your natural radiance and help you look fresh and luminous. I was extremely looking forward to using this product when I received it. Not sure if it's obvious in photos or anything but I do have faint dark circles under my eyes and bags (only really obvious when I smile). Of course by no means was I expecting this product to completely vanish my dark circles etc. but it was like I had a purpose for using this product to see if it would make a difference. 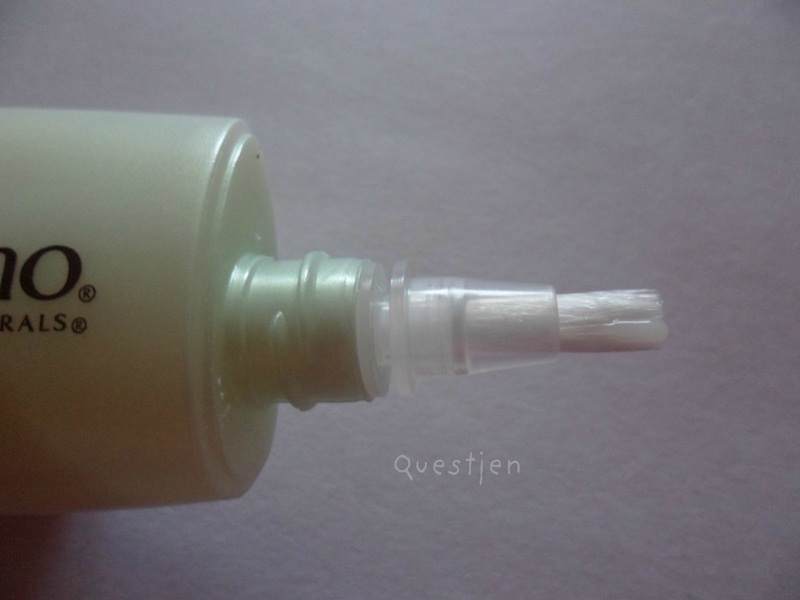 I liked the brush applicator, it made it more easy to apply the serum instead of dipping my fingers into a jar of product. It was easy to squeeze for product to come out although most of the time, lots more product came out than expected. So, did it do anything for me? Mm, not a lot however it did do what it claims - made my under eyes refreshed and hydrated. Only when I applied it too close to my bottom lash line I experienced slight irritation to my eyes like a tiny stinging feeling which went away after a few quick blinks. I don't think it had anything to do with the serum, it was due to my carelessness =/ Nothing should ever come that near the eyes! Don't expect it to decrease your under eye bags or make your dark circles vanish because it simply will not. The serum is made to brighten tired and dull-looking skin so the result you may see is more radiant skin under and around your eyes :) I felt that my skin around my eyes had improved slightly. What are your thoughts on Aveeno products? Loved? Hated? Which products have you tried? 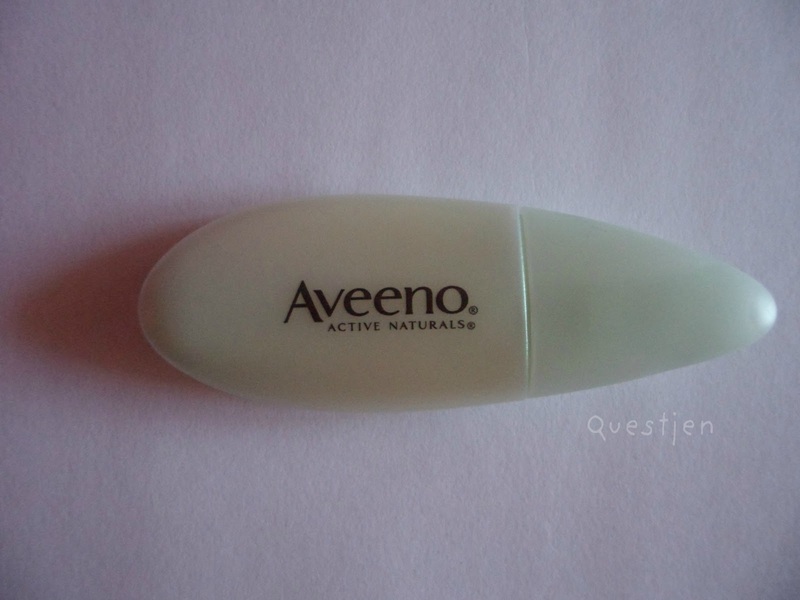 We have Aveeno over here and I have always looked at it but never really tried it!! The tinted moisturiser sounds good, I wonder if they do that over here? Though it seems a bit pricey for my liking! Thank you for the review! The tinted moisturiser looks great, but I agree is so pricey!! 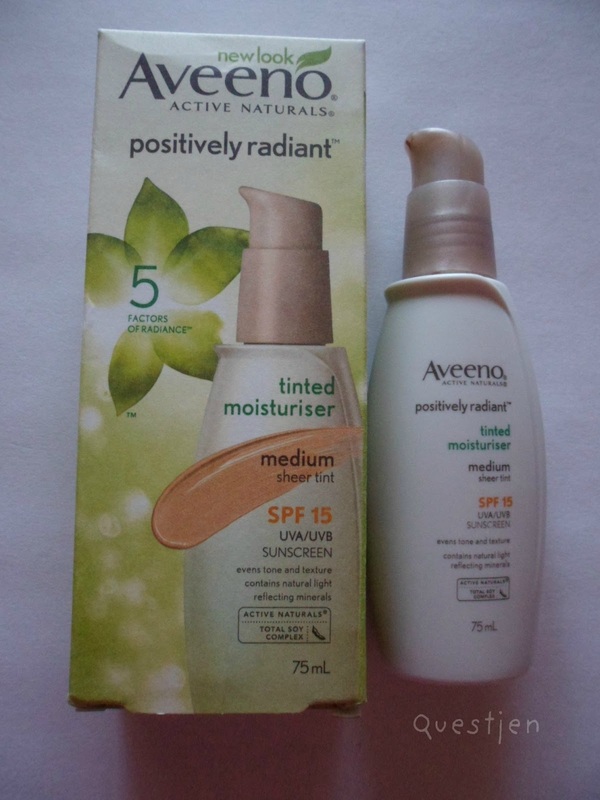 $22 is heaps for a tinted moisturiser! I've tried Aveeno products before! 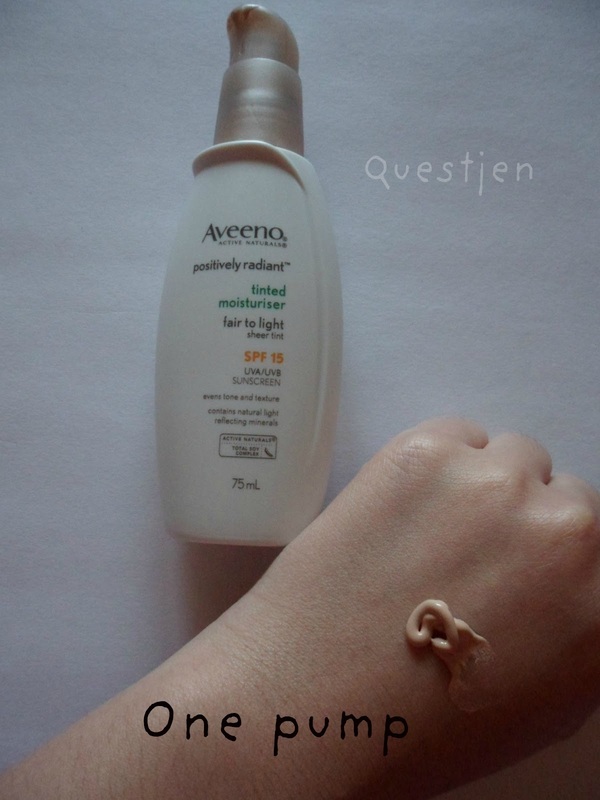 Their body moisturiser in a tub is so creamy and great for drier skins! ^_^ I don't remember any other products though.. 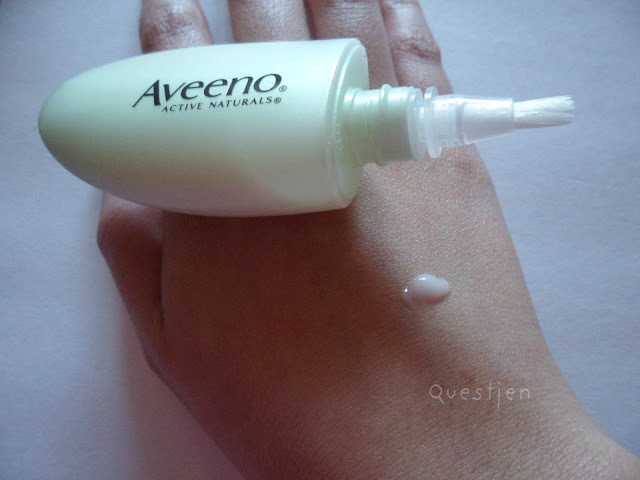 I've never tried Aveeno products but they look interesting... I'm always wary of trying out new skincare products though cos I have sensitive skin so I prefer sticking to what I know definitely works. The eye illuminator sounds interesting but $20 for 15mL is pretty pricey... what a shame! I didn't know you had sensitive skin Sue! 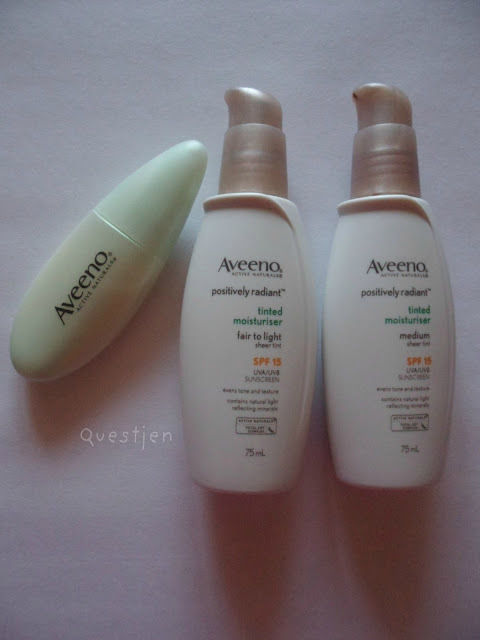 I do too *high five* Aveeno can be a little hit and miss when I use products on my sensitive skin... once I got a bit of an allergic reaction :/ But some other products were fine so yeah, it really depends :| Such a shame I know! 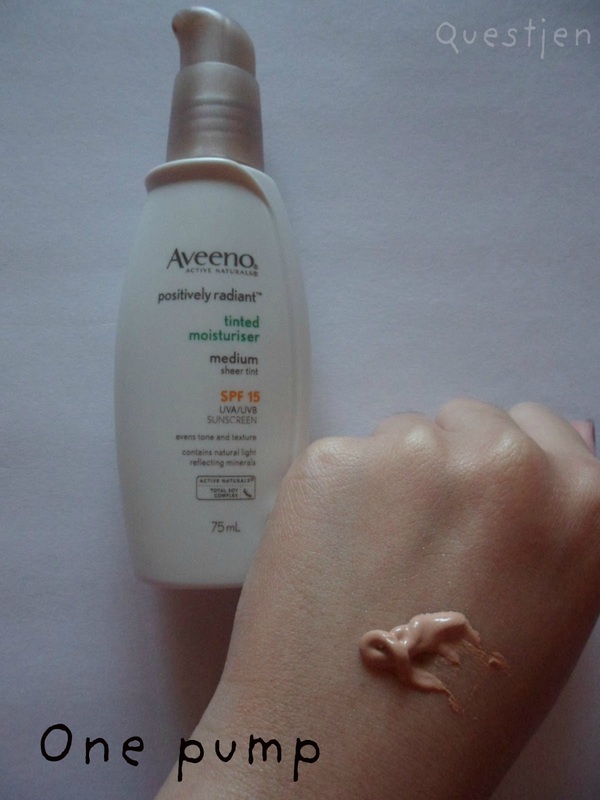 The tinted moisturizer looks pretty good but it's awfully pricey for a drugstore brand. I don't think it's something that I'm going to be getting anytime soon..great job with the review though! Hi Rinny :) Yes it definitely has quality but the price... I agree with you. Thank you!